We looked at the top 9 Hair Dryers and dug through the reviews from 26 of the most popular review sites including New York Times Wirecutter, Top Ten Reviews, BestReviews, Trusted Reviews, Engadget, Hair Dryer House and more. The result is a ranking of the best Hair Dryers. Our experts reviewed the top 9 Hair Dryers and also dug through the reviews from 26 of the most popular review sites including New York Times Wirecutter, Top Ten Reviews, BestReviews, Trusted Reviews, Engadget, Hair Dryer House and more. The result is a ranking of the best of the best Hair Dryers. This lightweight yet powerful hair dryer is on the pricier side, but you can rest assured knowing it will provide excellent value in its ability to deliver professional-looking results. DWYM Beauty and Personal Care Experts plus BestReviews, Hair Dryer House. Along with user reviews from Amazon and Walmart.
" If you are willing to make the investment, this dryer will provide you with salon-level performance." "The cost of the Solano Supersolano 3500 Lite Professional Hair Dryer is on the high side. If you are expecting to spend about $200 for a hair dryer, then this would be within that price range." RUSK CTC Lite is lightweight and ergonomically designed, which means your wrist and arm won't get tired holding it. This 1900-watt model is infused with ceramic and titanium, which makes it perfect for any hair type — curly, straight, wavy or something in between. DWYM Beauty and Personal Care Experts plus New York Times Wirecutter. Along with user reviews from Amazon.
" It’s among the fastest and lightest dryers we tested and comes with a diffuser, but it’s typically more expensive than similar-performing models." The Infiniti Pro by Conair comes in a handful of fun colors, which is an added bonus to its three heat and two speed options. This model promises 75 percent less frizz and the ability to dry your hair 50 percent more quickly. DWYM Beauty and Personal Care Experts plus New York Times Wirecutter, Top Ten Reviews. Along with user reviews from Amazon, Target and Bed Bath & Beyond.
" While just as fast as pricier models, this dryer is among the heaviest we tested, and its attachments can be hard to remove." "It’s louder than most hair dryers, and its cord is shorter than average." This relatively inexpensive model offers a great bang for your buck. It will dry your hair as quickly and efficiently as more expensive models, but you should keep in mind that it's on the heavier side. DWYM Beauty and Personal Care Experts plus New York Times Wirecutter, BestReviews. Along with user reviews from Amazon and Walmart.
" This dryer produces airflow that’s nearly as fast (45 mph) and hot (130 °F) as that of our top pick." We identified the majority of the hair dryers available to purchase. 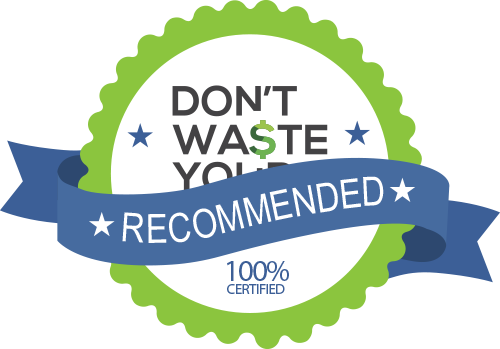 Reviews from our DWYM category experts and analysis of some of the most respected sources including: New York Times Wirecutter, Top Ten Reviews, BestReviews, Trusted Reviews, Engadget. We also incorporate user reviews from the leading retailers including Amazon, Target, Bed Bath & Beyond, Walmart and 3 others. If you are willing to make the investment, this dryer will provide you with salon-level performance. The cost of the Solano Supersolano 3500 Lite Professional Hair Dryer is on the high side. 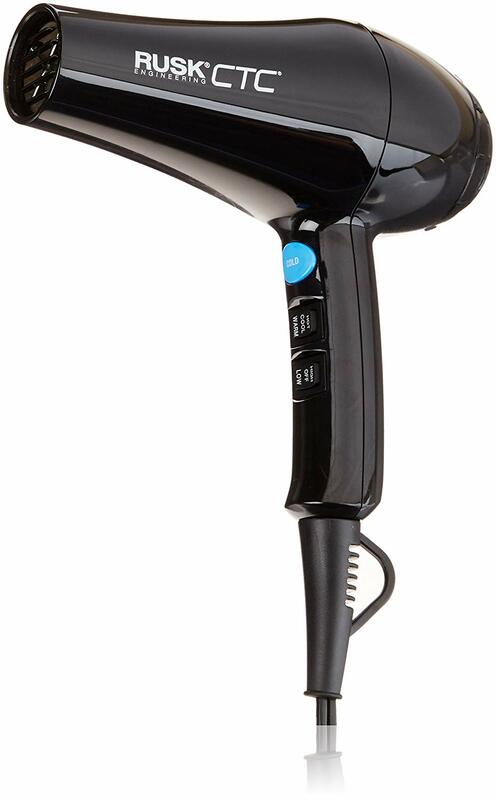 If you are expecting to spend about $200 for a hair dryer, then this would be within that price range. This dryer produces airflow that’s nearly as fast (45 mph) and hot (130 °F) as that of our top pick. Although not perfect, this dryer has earned the favor of numerous consumers. For the money, it's the best deal. This dryer is among the heaviest we tested, and its attachments can be hard to remove. Many of us would be lost without our hair dryers. Whether you just want to dry your hair quickly before you dash out the door in the morning, or you rely on it as an integral tool to achieve your mane’s style, a hair dryer is a must-have daily appliance for people of all hair types and style preferences. A hair dryer works by speeding up the process of water evaporating from the hair’s surface, which is accomplished through the combination of a hair dryer’s motor-driven fan and a heating element. Although modern hair dryers all work using the same basic mechanism, these days, some dryers tout special features that do everything from cutting drying time to protecting the hair from heat damage to produce salon-quality results. The SuperSolano 3500 Lite Professional Hair Dryer has a super velocity and high-performance motor to dry hair quickly, and the ceramic construction allows for more even heating. The three-heat, two-speed settings on the ConAir 1875 Ionic Hair Dry offer further control to achieve specific styles with different hair types. Ionic dryers like this model also speed up dry time and create a super-sleek look. Look for a hair dryer with wattage between 1800 to 2000 to strike a balance between quick and efficient drying and avoiding “frying” your precious tresses. Additional attachments, like the diffuser that comes with the Rusk CTC Lite, help the user tackle common hair problems, like frizziness. A diffuser disperses the dryer’s airflow and spreads it over a larger area, helping to keep curls in check. Ease of use is also key. Models like the Dyson Supersonic Hair Dryer boast a small and lightweight design, which makes it easy to pack for travel as well as reduces strain on your arm during use. When comparing prices, consider the use your hair dryer will get. If you dry your hair on a daily basis or have special hair needs, an investment in a higher-priced model may make sense. On the other hand, a cheaper and more basic model may do the trick for those who just want to efficiently dry their hair in a pinch on an occasional basis. Besides helping you pull off a salon-worthy hairstyle at home, there are a number of unexpected uses for a hair dryer. Did you know that you can break in new shoes, remove stickers and thaw ice cream, all with the aid of your hair dryer? The first hair dryer debuted all the way back in 1880. Early versions included the Thermicon, a brush filled with boiling water and combed through hair. By the 1920s, a handheld version was available, albeit a lot heavier and clunkier than today’s lightweight models. In the 1950s and 60s, lighter models that more closely resembled today’s dryers became commonplace and allowed more people to style their hair at home. Using the appropriate product for your hair type can optimize your dryer’s performance. Volumizing spray, leave-in conditioner and shine serum can all help you achieve the perfect style, depending on your hair’s length and texture. Speaking of products, using them correctly is also important. In general, a lighter hand is best. Don’t overdo it. How long to dry your hair depends on your hair type as well. If you have fine to medium hair, it’s fine to wait until your locks are about 80 percent dry before you start using your dryer. For thicker hair, you should only let it dry to about 50 percent dryness in order to have the most control over your style. If you wrap your hair up in a towel upon exiting the shower, don’t leave it on too long. That’s because the friction from the towel can actually damage your tresses. Aim to keep it wrapped up no longer than 10 minutes. Start drying your hair from the front, then move backward toward the nape of your neck. This is especially important for those with bangs. Your fringe can be the toughest part of your hair to style, so tackle it first to minimize frizz. If volume’s what you’re after, be sure to lift your hair from the roots as you dry. Although many people keep their hair dryer in the bathroom, it can actually be helpful to move to another room. The humidity after you step out of a hot shower can make your job that much tougher, and increase the time it takes to dry your hair. Don’t be afraid of the cool button. Although you may have ignored this common feature on models like the Rusk CTC Lite dryer, giving your hair a shot of cool air can seal the cuticle, increase its shine and lock in your style for a look that lasts. For the Hair Dryer category, we analyzed 26 of the most popular reviews including reviews from New York Times Wirecutter, Top Ten Reviews, BestReviews, Trusted Reviews, Engadget, Hair Dryer House and more. The result is a ranking of the best Hair Dryers.